The University of Michigan History of Art Department's Visual Resources Collections houses a rare collection of photographs shot circa 1928-1946 by pioneering scholars Arthur Upham Pope (1881-1969) and Donald Newton Wilber (1907-1997). These two men were prominent figures in the discipline of Islamic art during its formative years in the United States. The Pope and Wilber photographic collection totals more than 4,600 images. The photographs are predominantly from the Persian world, which encompasses the borders of modern Iran and parts of Afghanistan and Central Asia. They showcase architecture, landscapes, and gardens from this region. Most of the sites date from the Seljuk to Safavid periods, i.e., from about 1000 to 1700 CE. Pope and Wilber's photographs provide a glimpse into the landscapes of the Islamic world. Access to these sites is now limited, and some of the monuments have not withstood the test of time. In addition, various photographs in the collection record buildings and inscriptions prior to more recent renovations, thus providing key evidence for the history of many important architectural sites. Pope and Wilber used some of these photos in their numerous publications. However, many of the images have never been published and are just beginning to gain scholarly attention. By and large, the photographic holdings reflect Pope and Wilber's scholarly interests. Arthur Upham Pope, an American archaeologist and historian, contributed to the field in numerous ways, including through the publication of his multivolume A Survey of Persian Art .1 Many of the images included in the Survey came from negatives now held in the Visual Resources Collections. 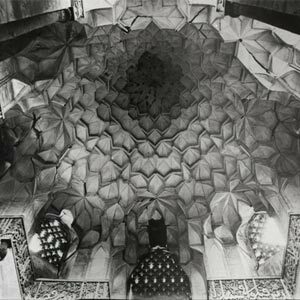 He and his coeditor, wife Phyllis Ackerman, were frequent visitors of Iran, and their work helped to elevate Persian art to an internationally recognized field of study.2 Donald Wilber was a close colleague of Pope. He studied the history of the ancient and modern Middle East. 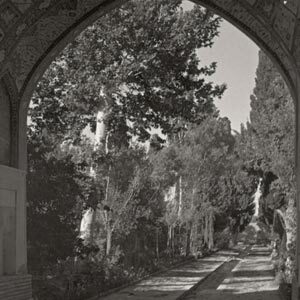 After finishing his masters degree in 1932 and prior to pursuing his Ph.D. at Princeton University, Wilber traveled widely in Syria and Iran.3 While in the Middle East he forged a close relationship with Pope and shot many photos of Iranian monuments and gardens. The data and images garnered from his travels abroad were subsequently published in many articles and books.4 Some of his photographs were also included in Pope's Survey , attesting to his involvement in and contribution to this large-scale publication project. 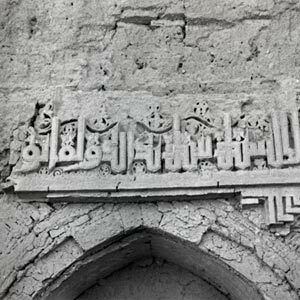 The Pope and Wilber photographic archives provide a collection of images that record various elements of Islamic architecture and landscape design. 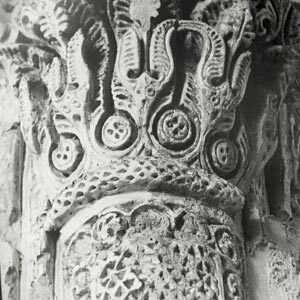 In the discussion that follows, four of these elements—namely, muqarnas, brick and stucco ornament, epigraphy, and gardens—are explored in further detail. These elements are well documented by both scholar-photographers and reflect their own academic pursuits. Moreover, they help contextualize some of the artworks and themes highlighted in the exhibition, Pearls of Wisdom: The Arts of Islam at the University of Michigan. Wilber 1955; 1962; and Golombek and Wilber 1988.